Who were the original hipsters? 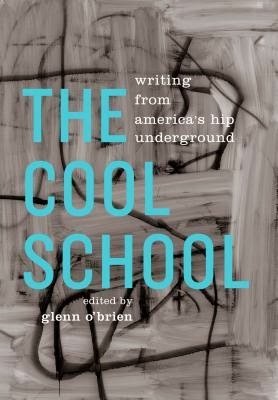 In this dazzling collection, Glenn O’Brien provides a kaleidoscopic guided tour through the margins and subterranean tribes of mid-twentieth century America—the worlds of jazz, of disaffected postwar youth, of those alienated by racial and sexual exclusion, of outlaws and drug users creating their own dissident networks. Whether labeled as Bop or Beat or Punk, these outsider voices ignored or suppressed by the mainstream would merge and recombine in unpredictable ways, and change American culture forever. To read The Cool School is to experience the energies of that vortex. Drawing on memoirs, poems, novels, comedy routines, letters, essays, and song lyrics, O’Brien creates an unparalleled literary mix tape bringing together Henry Miller, Miles Davis, Jack Kerouac, Diane di Prima, Lenny Bruce, William S. Burroughs, Bob Dylan, Annie Ross, Norman Mailer, Terry Southern, Andy Warhol, Lester Bangs, and dozens of others, including such legendary figures as Beat avatar Neal Cassady, jazz memoirist Babs Gonzales, inspired comic improviser Lord Buckley, no-holds-barred essayist Seymour Krim, and underground filmmaker Jack Smith. His one-of-a-kind anthology recreates an unforgettable era in all its hallucinatory splendor: transgressive, raucous, unruly, harrowing, and often subversively hilarious. Be sure to read the introduction for the definition of exactly what a hipster is. I read it twice, and I still can't explain it. If you consider yourself a hipster, you already know what it is and this book is for you. Basically, this book is a montage of writing from several hipsters. If you lived in the 70's or are familiar with the era, you've heard of at least a few of them. For myself, I was familiar with Jack Kerouac, Bob Dylan, Andy Warhol, Miles Davis and George Carlin. If you're hip or into the scene, this is a happening book. For those of you who still don't know what hip are or if it applies to you, this is actually a pretty fascinating book. It's sort of a treasure trove of history. Yes, recent history, but you wouldn't believe how much these people have to teach. I started at the beginning and worked through each story and found myself riveted, just waiting to see what would happen next with each person. It was a different time and people behaved differently. The world worked differently. This is your chance to get a first-hand glimpse at what it was like. Caution: If you've never been around hip speak, you could have a little difficulty. Just remember to use context clues and you'll be learning jive in no time!